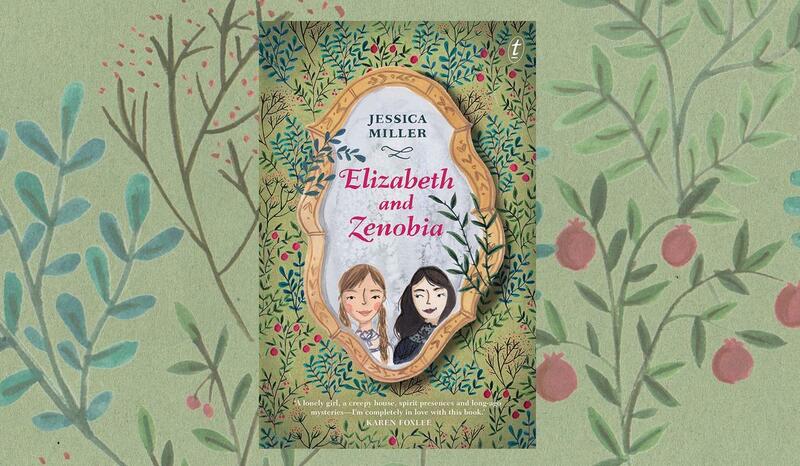 Elizabeth and Zenobia is a wonderfully mysterious middle-grade adventure story about friendship and courage and the power of imagination. We had a chat to debut author Jessica Miller about her inspirations for this enchanting novel. What drew you to write Elizabeth and Zenobia? I started with the wallpaper, strangely enough. In Elizabeth and Zenobia the eerie, half-alive wallpaper in the nursery plays a central role in the plot. The inspiration for the wallpaper came from two other books. In The Yellow Wallpaper, Charlotte Perkins Gilman’s feminist classic, the bedridden protagonist starts seeing things in the yellow wallpaper of her sickroom. And in The Haunting of Hill House by Shirley Jackson, the wallpaper in a creepy old house is inexplicably menacing. I read the two books, coincidentally, one after another and was struck by their similar treatment of wallpaper. And things just went from there! You can really feel a gothic influence in Elizabeth and Zenobia, and at times it is quite genuinely frightening. Was it important to you that it had that edge? Definitely. The books I loved as a child, and the children’s books I’m drawn to as an adult reader of children’s books, often have some kind of dark or gothic element. For a certain type of reader, there’s lots of pleasure in reading about things that are mysterious, or creepy, or even downright scary. Having said that, it was important that Elizabeth and Zenobia wasn’t too scary. My editor at Text, Jane Pearson, worked very closely with me to manage the gothic elements in the story, and to find a happy resolution for it. The friendship between Elizabeth and her imaginary friend Zenobia is at the centre of this story. Why did you give Elizabeth an imaginary friend? I’m not sure what compelled me to give Elizabeth Zenobia as a friend, but once I started writing their relationship I knew pretty quickly it was something I wanted to explore in more detail. Zenobia was such fun to write, for one thing. And the fact that Elizabeth’s father is such a distant figure at the start of the book really gave Elizabeth’s relationship with Zenobia space to grow. Did you ever have an imaginary friend? I don’t remember ever having an imaginary friend but my mother assures me I had a very vivid imaginary relationship with Gordon, the big blue engine from Thomas the Tank Engine, which is embarrassing because I’m pretty sure Gordon is the grumpy and annoying engine. Like Elizabeth, I insisted on a place being set for Gordon at every meal. Perhaps I was working with material from my deep subconscious when I wrote the relationship between Elizabeth and Zenobia? 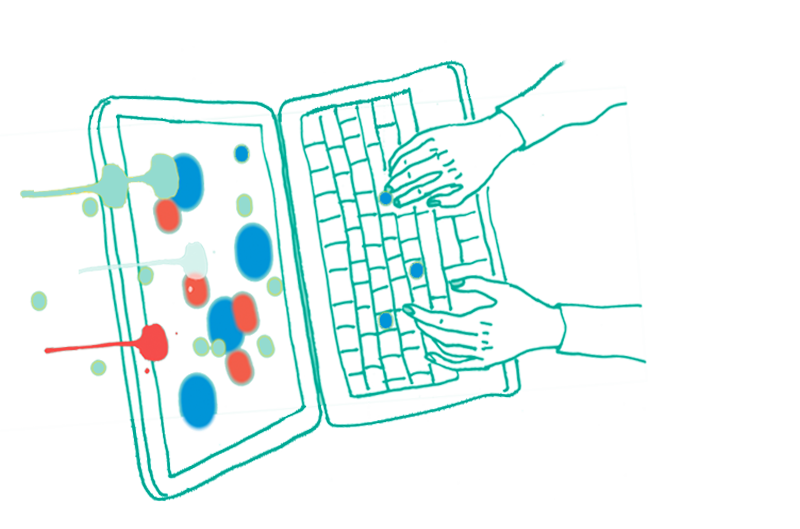 You were shortlisted for the Text Prize in 2013—what was the experience like going from manuscript, to shortlist, to publication? Being shortlisted for the Text Prize was wonderful, as was signing with Text. But the editing process was definitely the best part of the whole experience. It was a thrill, having my work read so closely and keenly, and the book is much much better for it! You were born in London, spent most of your life in Brisbane, and now live in Berlin. Did living in Germany have an influence on Elizabeth and Zenobia? I had already completed a full draft of Elizabeth and Zenobia before I moved to Germany—in fact, a move to Germany wasn’t even on the horizon when I finished the book’s first draft. So, being in Germany didn’t influence the story directly, though I hope I’ll write something inspired by Germany soon. On a practical note, however, there’s nothing like a bitter German winter for knuckling down to manuscript revisions! I’m doing a PhD through the University of Queensland’s wonderful creative writing program. For that, I’m writing a YA manuscript inspired by Russian folklore and the tale of Swan Lake. What makes great children’s and YA fiction? I think all truly great children’s and YA fiction treats young people as the intelligent, engaged readers they are.